Mount Agung, also known as Gunung Agung, is a volcano located in Bali, Indonesia. It can be seen to the south-east of the Mount Batur volcano. Gunung Agung is a stratovolcano, which means that it is a conical volcano made up of many layers of hardened lava, tephra, pumice and volcanic ash. Stratovolcanoes are characterized by a steep profile and periodic explosive eruptions as well as effusive eruptions (a type of eruption where lava continuously flows down onto the ground). 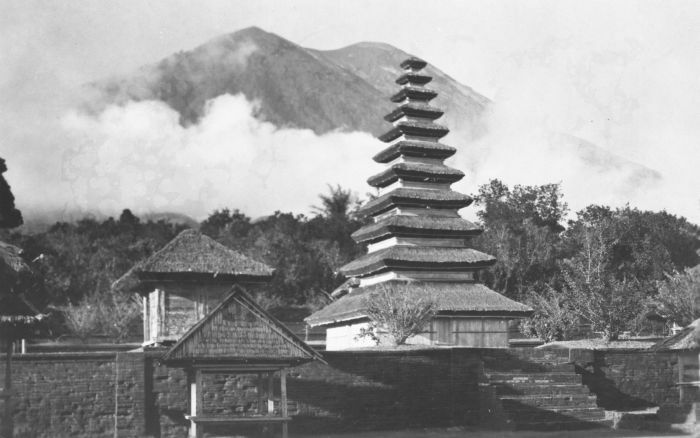 An ethnic group called the Balinese believe that Agung started as a fragment of Meru (a sacred cosmological mountain with five peaks in Hindu, also considered to be the center of all the physical, metaphysical and spiritual universes) brought to Bali by the first Hindus. Mount Agung was last known to erupt in 1963, when lava travelled 7km over a period of 20 days and killed almost 1,500 people. The eruption was preceded by an increased frequency in earthquakes. Since the eruption, Mount Agung has remained quiet. Mount Agung has not erupted for more than half a century which leads experts to believe Mount Agung is due for an eruption very soon. But the problem is - they don’t know when. Recently, Indonesian authorities have announced the highest possible alert warning. Over 100,000 people were evacuated last week after Agung experienced a series of almost 1200 volcanic earthquakes over two days. Scott Bryan, an associate professor at the Queensland University of Technology, also states that there are have been numerous signs that an eruption will occur soon. He said that the fact that the seismic tremors located beneath the volcano are increasing in number, intensity, and also the reduction in their depth, is one of the main hints that magma is moving up to the high ground. Besides having seismic activities, there are other two signs that a volcanic eruption is coming: gas Emissions on the summit and bulging on the volcano’s surface. When volcanoes erupt, the earth becomes cooler. A lecturer in volcanology from the University of Queensland, Teresa Ubide, explained that the cooling effect after an eruption is caused by sulfur emissions from the volcano. Basically, when a volcano that generates sulfur-based aerosols erupts, the sulfur emissions block the radiation of the sun, and we will experience a decrease in global temperature. Similar to what happened in 1963 when Mount Agung erupted, the global temperature dropped by 0.1°C and 0.4°C. When Mount Pinatubo in the Philippines erupted in 1991, global temperatures decreased by 0.5°C. Although it does not sound like a huge difference, we have to remember that the earth is very sensitive and even the smallest changes will impact global climate systems in drastic large ways. You may think that this may help to reverse some of the effects of global warming, but ironically, it actually makes it worse. How? Volcanoes excrete carbon dioxide. On average, land-based and water-based volcanoes release between 100m – 300m carbon dioxide each year. So what will happen if Mount Agung does erupt? 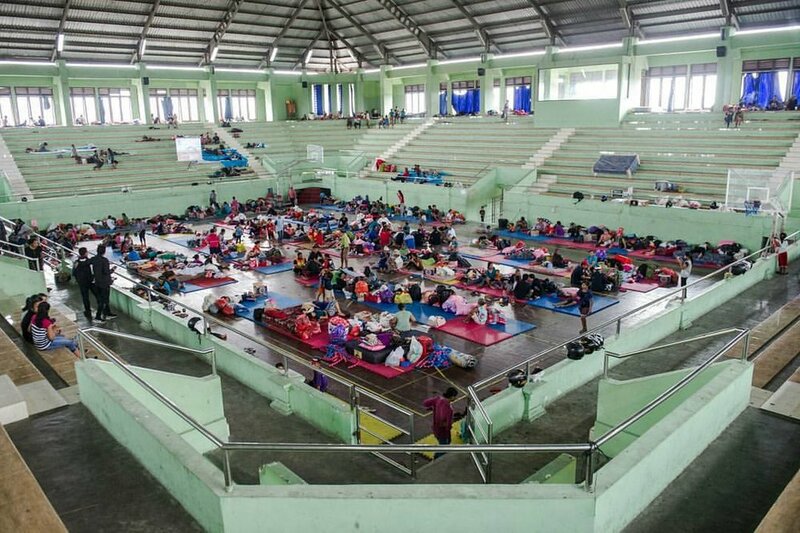 In terms of safety, the Indonesian officials are much more prepared for an eruption to occur this year, taking many precautions to keep people safe and are monitoring the situation very closely. Professor Mike Burton, the chairman of volcanology at Manchester University, believes that monitoring and consistent communication using modern technologies will allow many more locals to get out of danger in time. No one can predict the future, but everyone can prepare for what will come next.